So You Think You Can Mom? 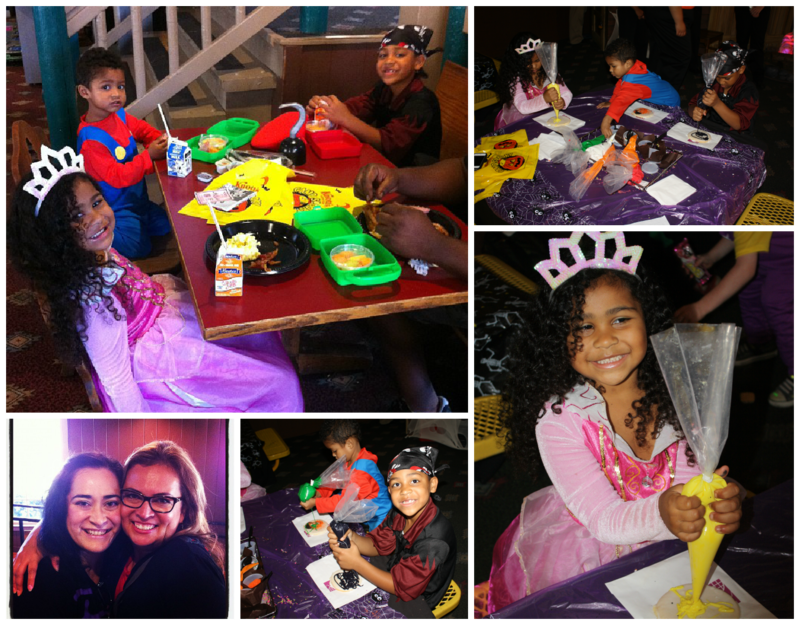 : Celebrate Halloween at Camp Spooky! 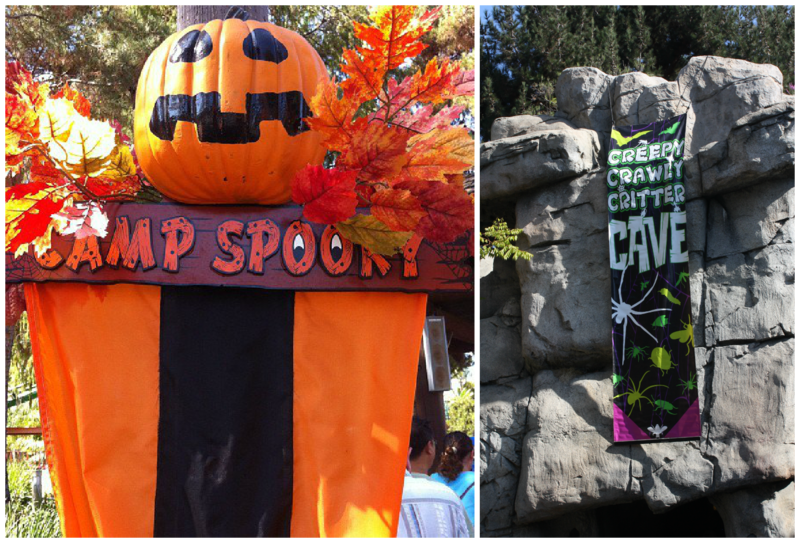 Celebrate Halloween at Camp Spooky! I am sure you all know just how much fun Camp Snoopy is at Knott's Berry Farm. Every year Camp Snoopy is transformed into a spook-friendly Halloween destination for kids called Camp Spooky! 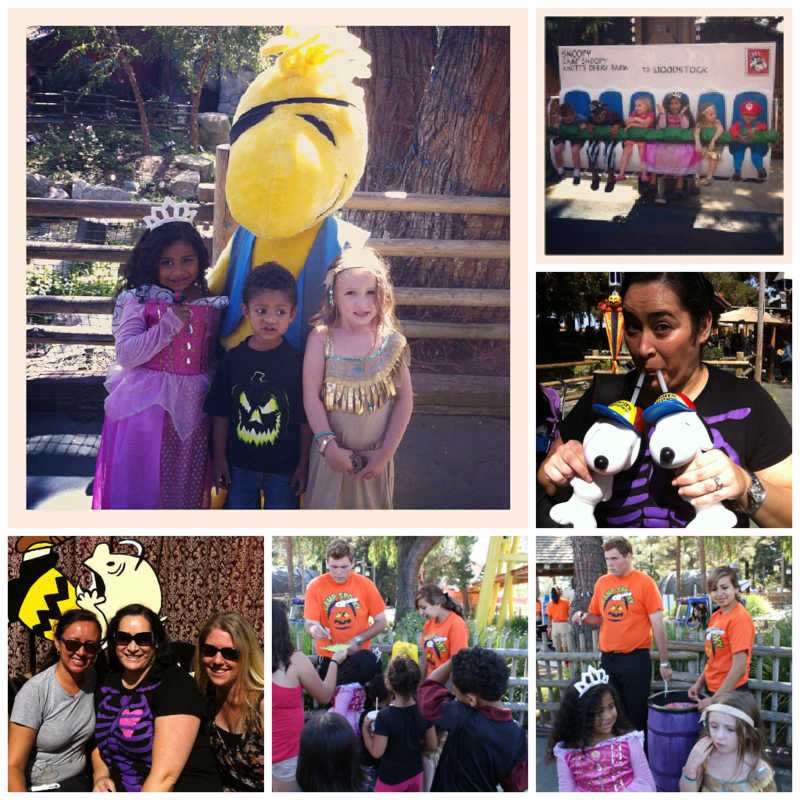 Last weekend, my family was invited to visit Camp Spooky and have some spooktacular fun with the Peanuts gang. My kids were so excited to get into their costumes and go trick-or-treating with their pals, get on all the pint-sized rides in Camp Spooky and partake in the Halloween activities that are being offered during this ghoulish time of the year. Our first stop was the Grizzly Creek Lodge for breakfast and some cookie decorating. We enjoyed a buffet breakfast with family and friends. After breakfast the kids were able to sit down and decorate Halloween cookies. Then we were off to play in Camp Spooky with our friends! We got lost in the Great Pumpkin Hay Bale Maze, we double fisted drinks in souvenir Snoopy sippers, we went trick-or-treating, hung out with Woodstock and so much more! After spending a few hours in Camp Spooky, we decided to venture out into the rest of Knott's Berry Farm. We stopped for lunch at Panda Express. The kids loved having their own table! Then we hopped on the Calico Railroad in Ghost Town where we met some friendly bandits. 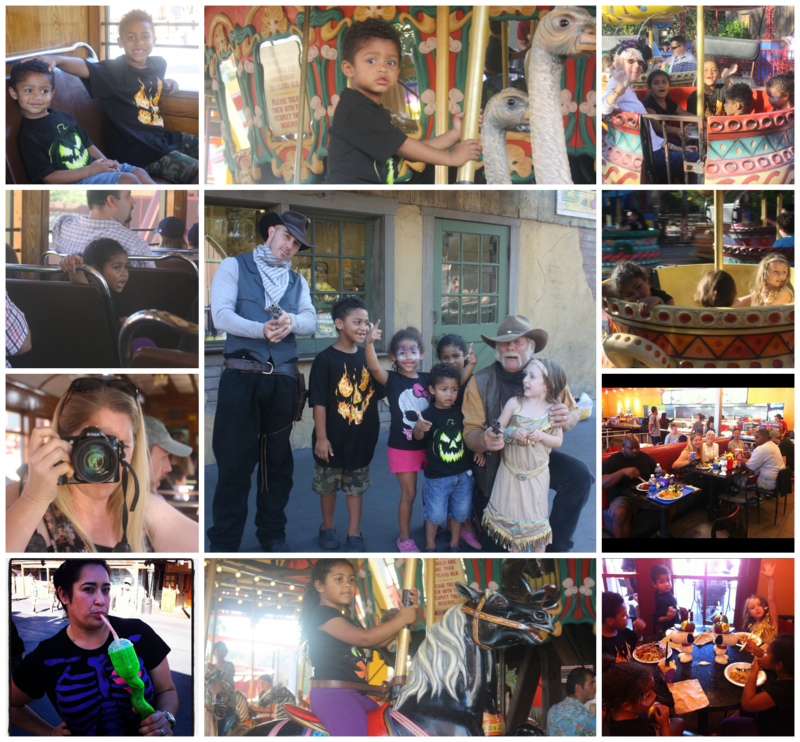 We ended our fun filled day in Fiesta Village. The kids took a few turns on the Merry-Go-Round and went for a spin on Hat Dance. We had the most amazing day! Knott's Berry Farm closes early on weekends in October in order to prepare for Knott's Scary Farm in the evenings. Our kids were so tired that they didn't even realize we left early! We always have a great time celebrating Halloween at Camp Spooky and I am already looking forward to next year! Disclosure: I was not compensated for this post. I was invited to attend a VIP Family Event in order to facilitate my review. These are just my two cents! awww your kids look like they had a great time! Lucky you! I'll be lucky if I remember to buy candy this year! How fun! I didn't make it out this year but my contributor did. Miss ya chica! Hope to see ya and those cute kiddos soon!